Record-breaking student debt, the rising cost of higher education, and parents balancing tuition against saving for retirement are often in the news. Indeed, sobering headlines remind families of the need to plan, save, and prepare in advance. Even with this awareness, 72% of Americans do not know what a 529 plan is, according to an Edward Jones survey. At the same time, families are aware of the costs and know they need to save. Sallie Mae’s 2015 study found 89% of parents believe college is an investment in their child’s future. But many struggle — with 59% reporting they have some apprehension about being able to save for college, 29% noting they are feeling overwhelmed about saving, and 28% stating they are frustrated that they won’t have enough saved. If savings are going to be a major source of funds for college, it makes sense to make the most of those assets. 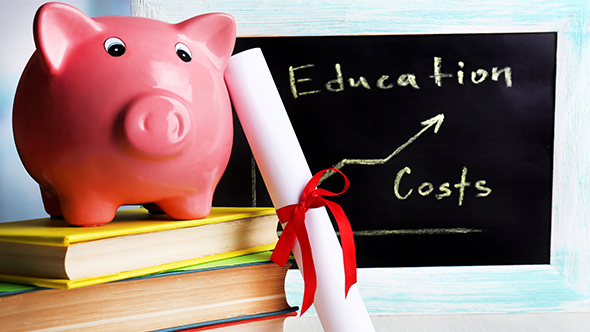 Families may benefit from understanding the value of 529 college savings plans. Proceeds from 529 plans may be used for tuition, fees, room and board, books, computers, and other qualified expenses. There is no federal income taxes when the money is withdrawn for qualified expenses. Anyone can contribute to the student’s account. Yet a 529 plan is one of several different ways to save for college. Choosing how to save can be confusing, especially when you are first developing a strategy. Different types of accounts offer a range of benefits. But some savings vehicles may be more beneficial depending on an individual’s financial situation. To identify which savings accounts may best fit your plan, explore Putnam’s Savings Selection Tool. Equally important is understanding the financial aid and tax implications of different sources of college funding. A financial advisor may help families optimize college savings and understand how and when to make withdrawals. Putnam’s investor education piece, “Strategies to make the most of college savings,” may be a helpful resource.